Ubuhle Women: Beadwork and the Art of Independence. This is the story of how thread—and beads—became a lifeline. In 1999, Ntombephi “Induna” Ntobela and Bev Gibson, the former with a traditional education and the latter with a self-described Western education, formed the Ubuhle (oo-buk-lay) collective on a former sugar plantation that they call “Little Farm” in South Africa. There, Zulu and Xhosa women from the Eastern Cape and KwaZulu-Natal provinces parlayed a generations-old bead art tradition into a contemporary expression called ndwango or “cloth” and created a market for it. Ubuhle means “beauty” and indeed, both the spirit of these women and their artistic output is beautiful. Male flight from country to city in search of cash salaries caused traditional agrarian social systems to erode, including the breakdown of family life. 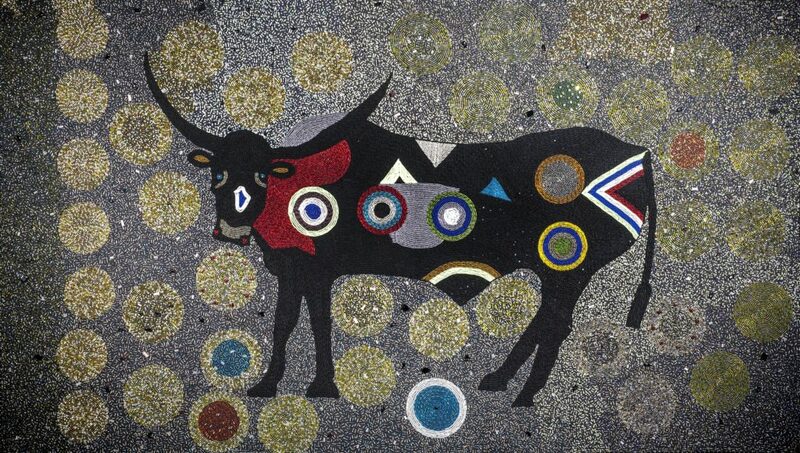 Through the commercialization of ndwango, the Ubuhle community provided local women artists with a private income stream and a route to financial independence. Far from commercial in appearance these intricately beaded ndwango—glass Czech beads stitched onto black fabric that shimmer like water—are instead quite spiritual in nature. Many serve as memorials—since 2006, the Ubuhle community has lost five, or nearly half, of its artists to HIV/AIDS and other illnesses—and, as such, provide a form of therapy to the surviving six makers. Gods, gardens, heaven, and earth pervade the ndwangos. Trees figure especially prominently in the textile motifs. Trees are rooted; and they reach. Archetypally, they have been significant to many cultures. In one panel, a peach tree is a memorial to the artist’s impoverished mother who used to take her sewing machine out under their peach tree to work beneath the branches ablaze with blossoms in spring. In another, flowering cherry trees are associated with Little Farm. In the work of Zandile Ntobela, the cherry blossom has become disassociated from the tree and appears in all of her ndwangos as a decorative pattern. Another common subject is cattle; bulls are a traditional form of wealth in South Africa and help form the economic basis of traditional Xhosa and Zulu society. 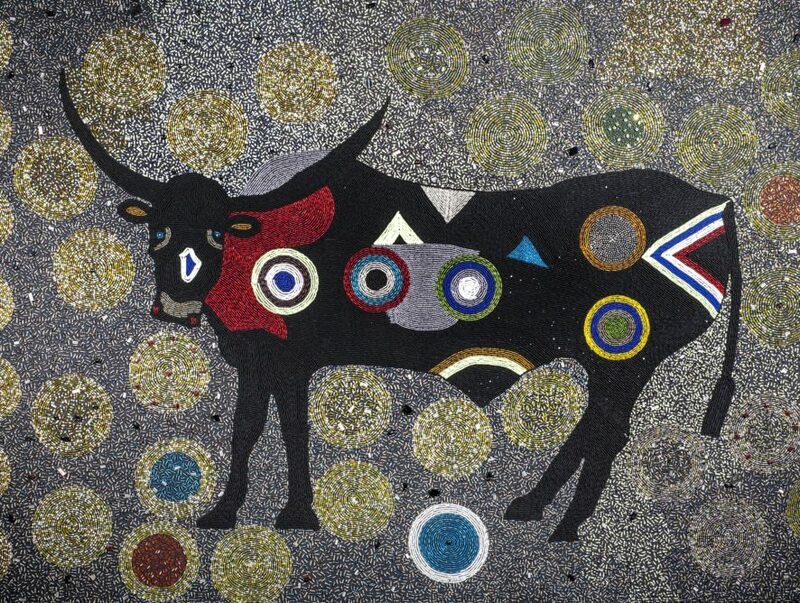 The animals’ bold shapes and handsome patterns represent one artist’s grandmother, another’s father, and a reference to the Zulu king. This exhibition was developed by the Smithsonian Anacostia Community Museum, Washington, D.C., in cooperation with curators Bev Gibson, James Green, and Ubuhle Beads, and is organized for tour by International Arts and Artists, Washington, D.C.